We have one major outstanding task in our Roadmap for Q4 2018 and that’s our retail product, the Decentralised Asset Management Platform (DAMP). This is our entry level product release that provides the ability for people to open an XOV account. Once opened, they’ll be able to trade in some popular digital assets including the XOV.ETH token. Other assets include BitUSD, BTC, ETH and others. So, some people will be thinking, so what. Well, right now, it means we have a working product — something that many ICOs that raised $$$$ last year never achieved because they were either a scam or just had no inclination to deliver a product. What matters to me is the potential of our DAMP and how it’s going to develop over the coming months and years (years you ask…yes…we are sticking around for a long time). We quickly realised that whilst it’s nice to be able to trade in digital assets that other exchanges offer, we are actually more than an exchange in the making. What’s the point in trying to steal the market share of centralised and decentralised exchanges, as basically, the market is going to be saturated soon. The things that differentiate XOV are first and foremost, our innovative attitude to development — we are not a project or product that wants to stand still. Secondly, we are striving to become a retail bank in the future, subject to the progression of DAMP and getting the necessary regulatory approvals. This means that the product development we have in the pipeline is very much about differentiation. We are working on traditional financial products (but decentralised), derivatives, and heading towards bank accounts, in fact, partnership development in all of these areas is ongoing in the background, and our XOV tokenholders are mostly oblivious to this fact, hopefully, only to be pleasantly surprised one day. So, where is the DAMP? Well, it’ll be delivered imminently. It’ll be delivered silently, and in a market that is suffering with contraction right now, but that just makes it sweeter once the markets recover. A lot of people in the cryptocurrency market just don’t understand the long term nature of our business model. 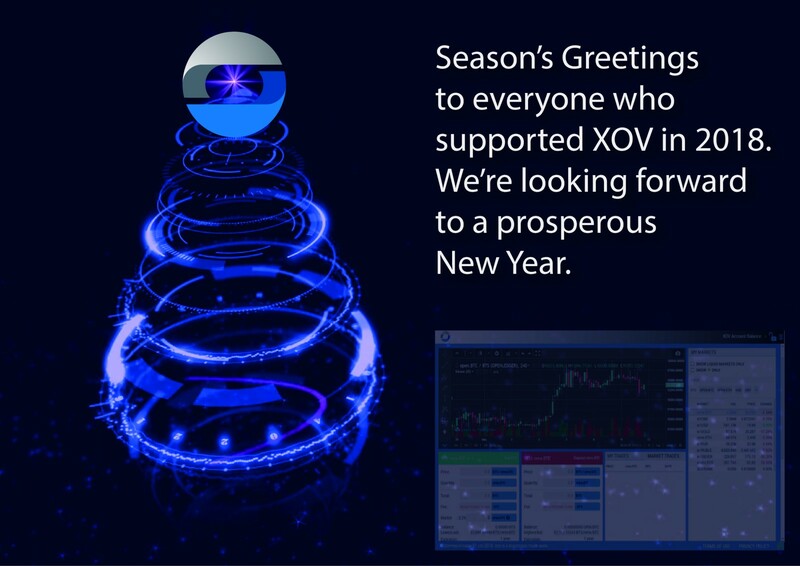 Day traders wanting to sell XOV at the lowest possible price are simply not interested in the long term potential of XOV, but luckily we have a strong foundation of serious investors who understand that we are only laying the foundations of what is to come, and that profit has to be earned. Once we start to build the skyscraper, the upside potential is high…of course I give the disclaimer that you should always seek your own independent financial advice before making any investment.